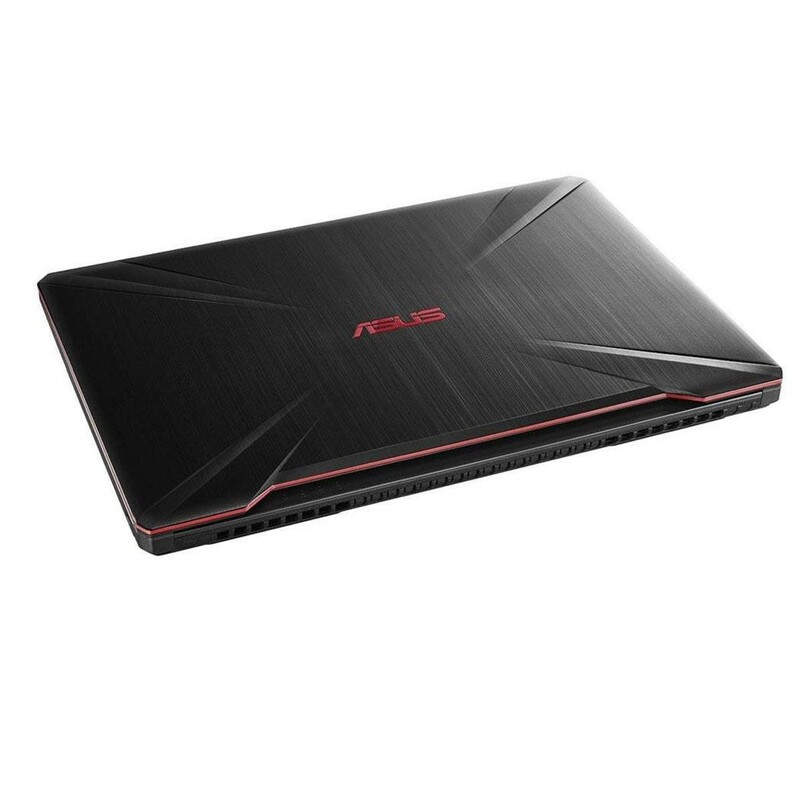 ASUS TUF Gaming FX504 is a powerful Windows 10 laptop that combines immersive gaming with an extended lifespan that goes far beyond standard. The patented Anti-Dust Cooling (ADC) system ensures longevity and stable performance, with a 7.1-channel surround sound fully to engage your senses FX504 ticks all the right boxes at an affordable price! 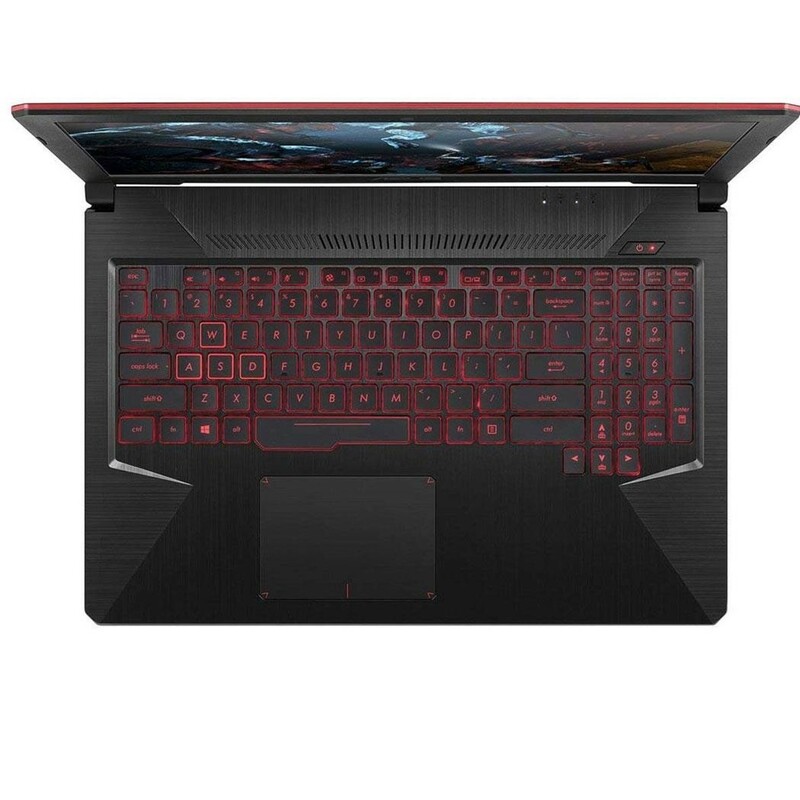 FX504 is equipped with the latest generation Intel Core i5-8300H processor and NVIDIA GeForce GTX 1050 graphics with full Microsoft DirectX 12 support, all packed into a chassis measuring an impressively slim 2.5cm and weighing just 2.3kg. 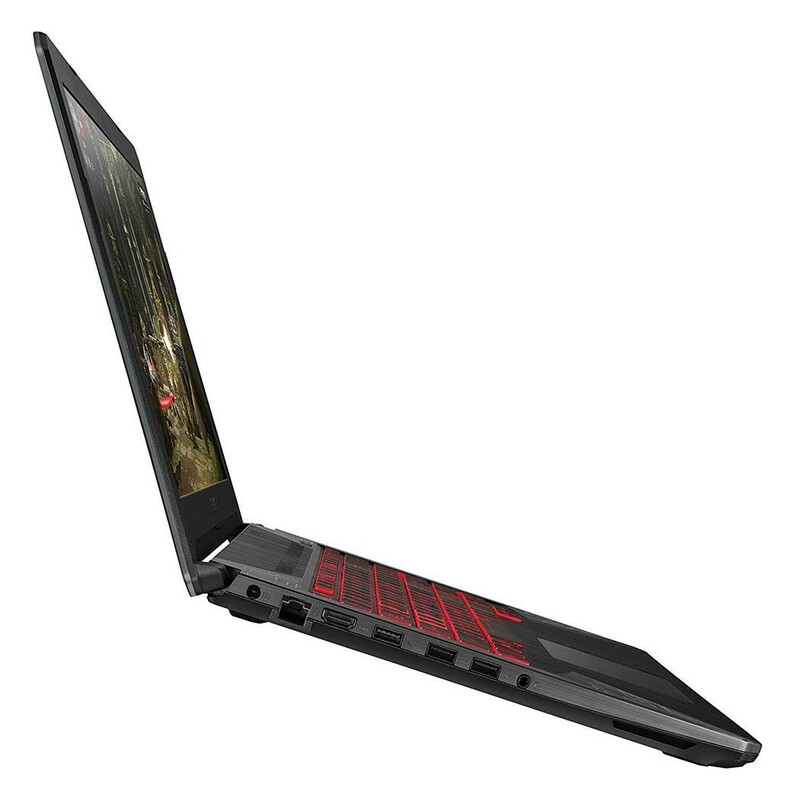 Whether you need to multitask for work or school, kick back with movies or music, or game on the go FX504 has the power to perform! The design of each component in FX504 is carefully thought out and made to last, with a desktop-inspired keyboard that is perfectly optimized for extended gaming and typing sessions. With a lifespan of 20 million key presses, FX504 has one of the most durable keyboards to be found in a laptop double that of the current industry standard of 10 million key presses. The scissor-switched keys have 0.25mm keycap curves and offer 1.8mm of travel for smooth and tactile keystrokes, and are backlit in striking red so they're clearly visible when gaming or working in the dark. Exclusive Overstroke technology ensures that keys are registered early with an extended distance after the actuation point for precision and comfort. Highlighted WASD keys, a broad space bar, and isolated arrow keys enable fast and accurate control. 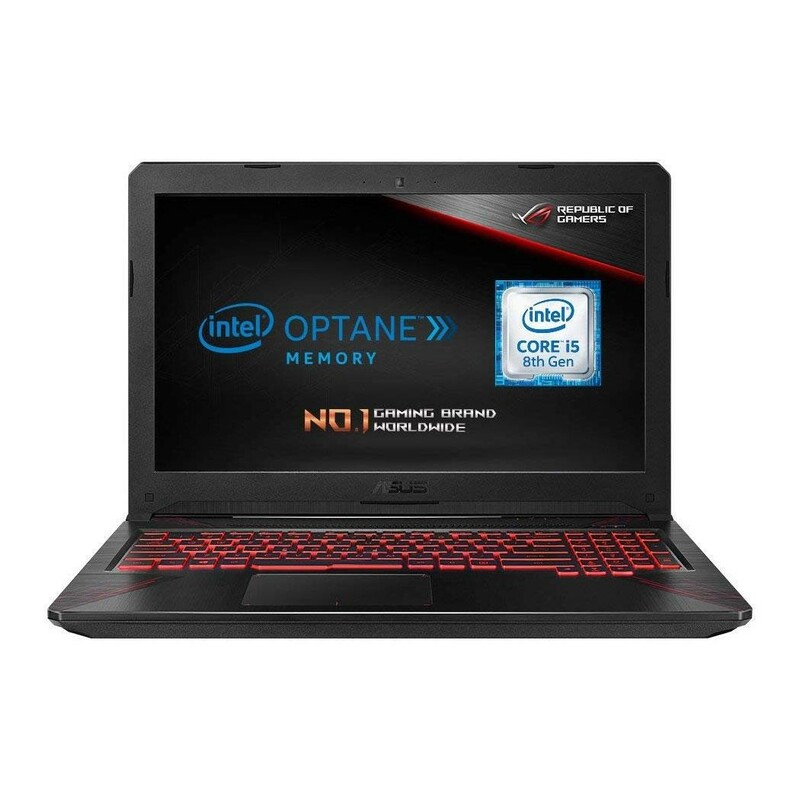 A computer with Intel Optane memory allows you to install all your games on a large capacity HDD and play them at SSD-like speed so you can play a new game without clearing up the fast storage space. And at the same time automatically accelerate your most frequently played games with fast game launch and level loading. Increase your speed. Don't wait.